Virginia Gimo was walking toward us when we stopped her. She was following a group of rescuers. Yes this is everything I own, my life has been swept away. This one on my back is the only one I know is fine. I have no idea if my other children are still alive. That is why I am going with those rescuers, to look for them. 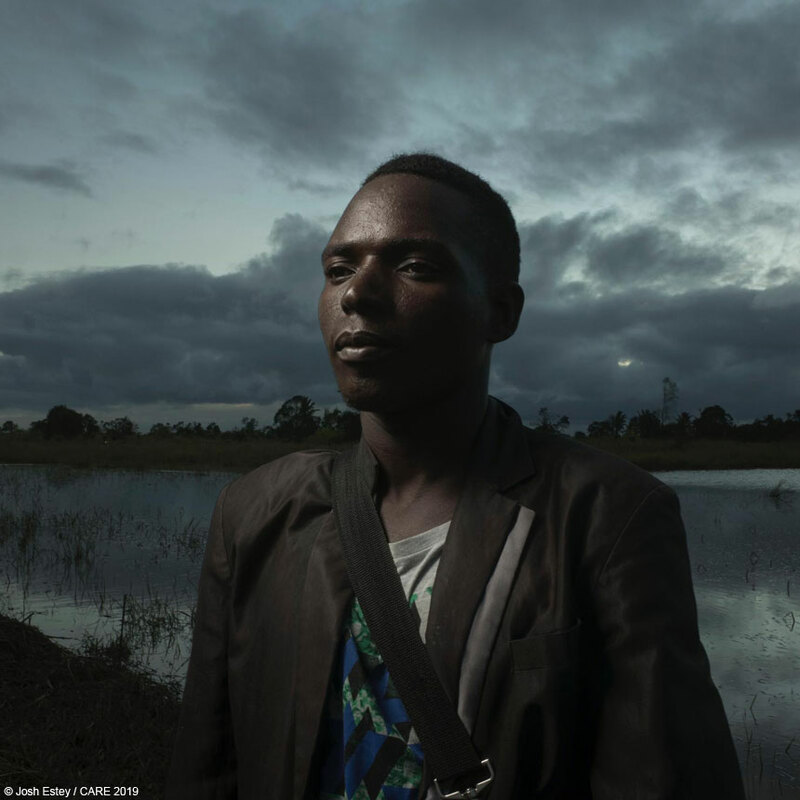 This story is heart-breaking – and so many people affected by Cyclone Idai have similar stories to tell. In Buzy there are people still in trees. I have seen them fall out of the trees into the rivers. They were too tired and exhausted. They couldn’t hold onto the trees any longer and fell into the waters and swept away. We had two boats evacuating people, but they have no fuel left so there is nothing we can do. Despite the scale of the devastation and the chaos on the ground, help is starting to get through. As we approach the “island” of Guara Guara we see a throng of people awaiting our approach. 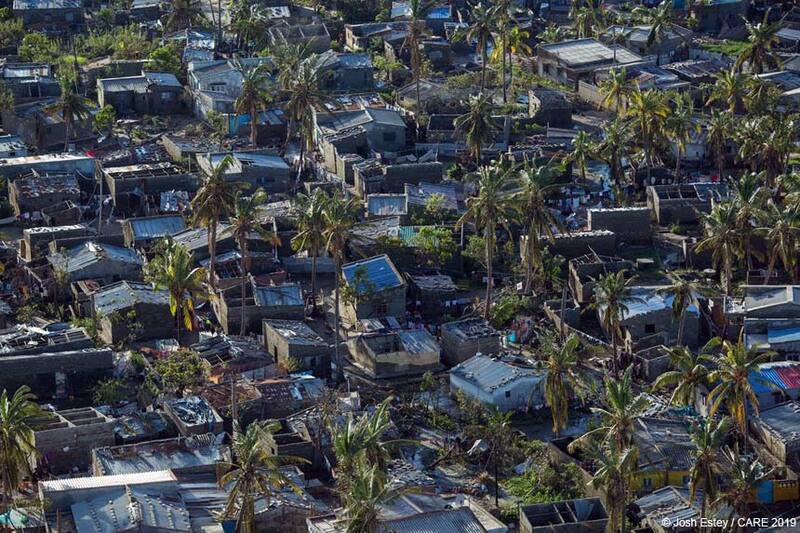 The town is now home to an estimated 1,300 people and more are arriving every day from surrounded villages. It’s the highest point in this area and is now home to everyone who has survived the flood waters. 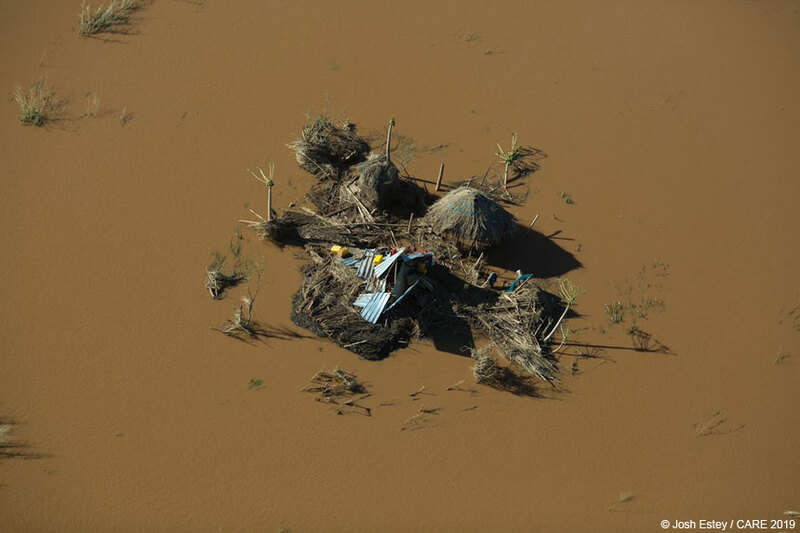 In Mozambique, CARE and its partners have airlifted family-sized tents, buckets and emergency kits (which include blankets, mosquito nets and other supplies) to areas that are inaccessible by road, including parts of Beira and in nearby Guara Guara. Shelter specialists are on hand to set up the tents. CARE has also delivered some shelter and sanitation kits in the region of Dondo. Assessment teams report that food and clean water remain critical needs, however, and families with children are struggling the most. 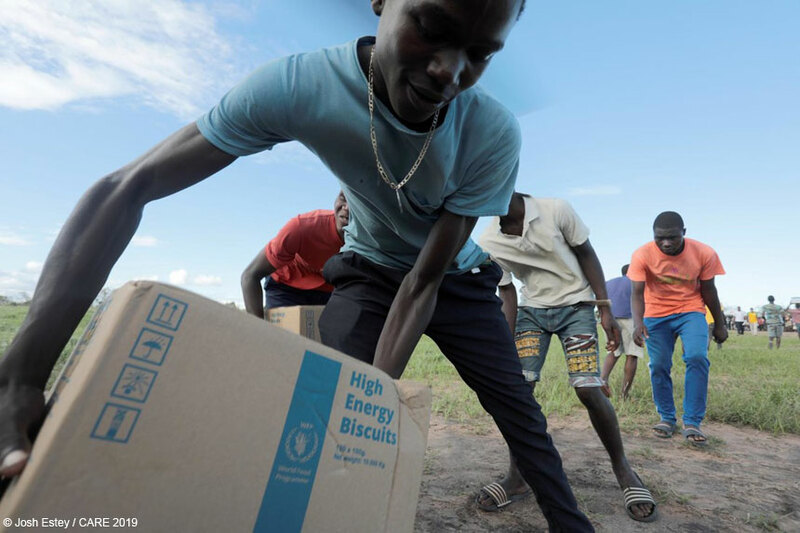 In Malawi, CARE has distributed thousands of water containers and packages of plastic roofing sheets for displaced people. 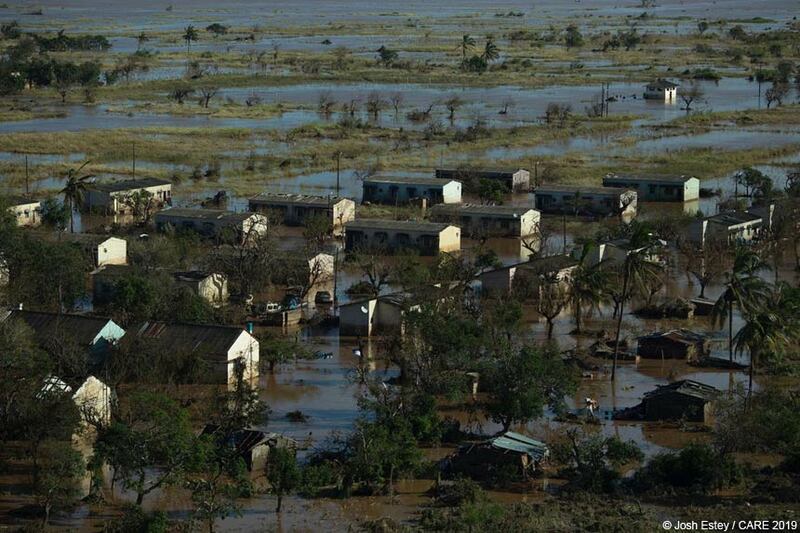 So far we have provided shelter and water assistance to 6,750 people. We are preparing for food distributions to 54,000 people and have ordered 175,000 water purification tablets from CARE emergency supplies held in Dubai. 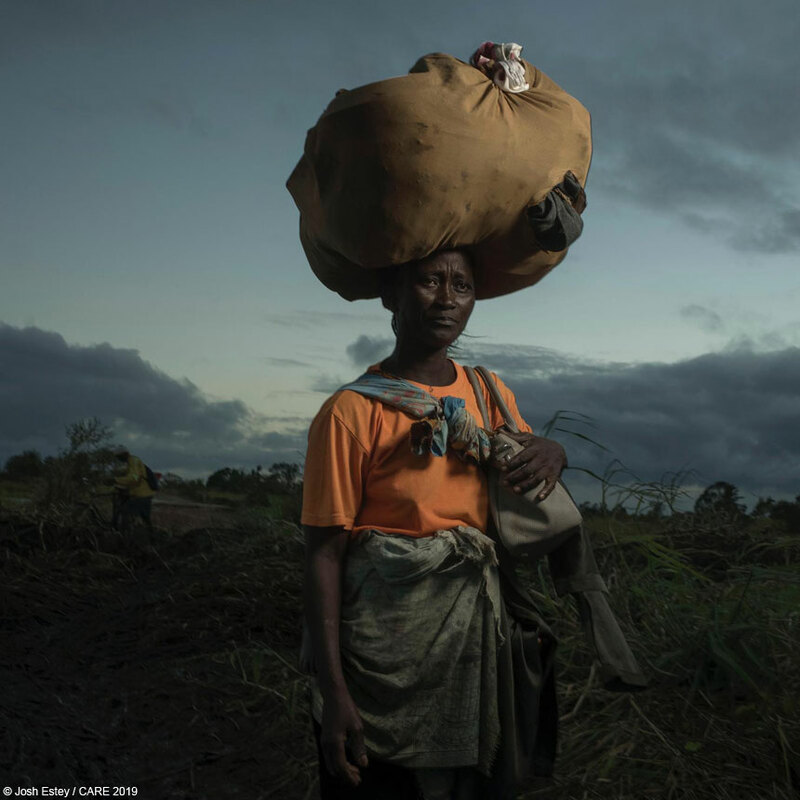 CARE experts have also established 21 protection committees in camps to ensure women and girls are protected from abuse. In Zimbabwe CARE has started distributing hygiene kits in the worst affected areas and is planning to scale up our response to other affected areas including Buhera and to include food security and livelihoods support as well as shelter and non-food items such as blankets and cooking equipment. The most affected districts are in Manicaland and Masvingo provinces specifically Chimanimani, Chipinge, Mutare Bikita and Zaka districts. 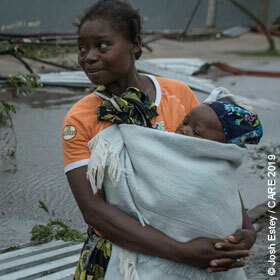 We are on the ground delivering what help we can, but more help is urgently needed – not just now but for many months to come, as people they face the huge task of recovering from the devastation and rebuilding their lives.